Attorney General Bill Barr, in a letter to the chairmen of the House and Senate judiciary committees, said he was currently redacting sensitive material from the nearly 400-page report. 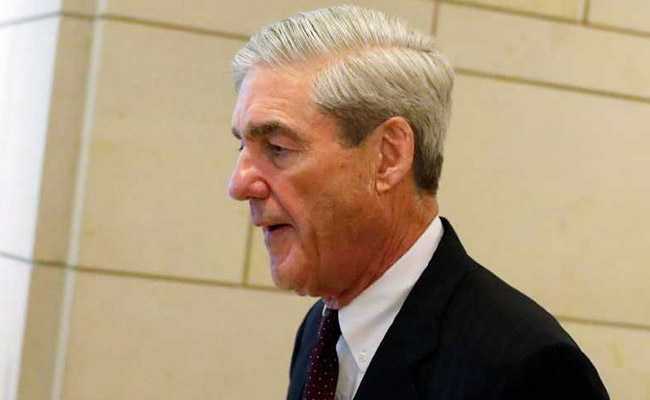 Special Counsel Robert Mueller's report into Russian interference in the 2016 presidential election is to be released by mid-April, Attorney General Bill Barr said Friday. Barr, in a letter to the chairmen of the House and Senate judiciary committees, said he was currently redacting sensitive material from the eagerly awaited report. He said Mueller, a former FBI director, was assisting with the task. He said the report was nearly 400 pages long and "sets forth the Special Counsel's findings, his analysis and the reasons for his conclusions." Barr, who released the "principal conclusions" of the report last week, has been under pressure from Democrats to release the full report. "I share your desire to ensure that Congress and the public have the opportunity to read the Special Counsel's report," the attorney general told the Senate and House committee chairmen. Everyone will soon be able to read it on their own," Barr said. "I do not believe it would be in the public's interest for me to attempt to summarize the full report or to release it in a serial or piecemeal fashion." He said the redactions underway included material "the intelligence community identifies as potentially compromising sensitive sources and methods." Redactions also concern matters that the Special Counsel has referred to other Justice Department offices for investigation and information that would compromise the privacy of "peripheral third parties." Barr said the report would not be submitted to the White House for review and President Donald Trump had deferred to him to deal with any parts over which he could invoke executive privilege. Barr, citing the "principal conclusions" of the report, said the Special Counsel did not find that the Trump presidential campaign conspired with the Russian government to win the election. Mueller also left the decision on whether Trump obstructed justice up to the attorney general, who determined that he had not "committed an obstruction-of-justice offense." Regarding obstruction, Mueller states that "while this report does not conclude that the President committed a crime, it also does not exonerate him." In his letter, Barr said he would be prepared to testify before the Senate and House judiciary committees on May 1 and May 2 respectively.